Analytics Benchmark Provides Best Power BI Training in Hyderabad with Experienced Real-time and Certified Trainers with up to date course curriculum. 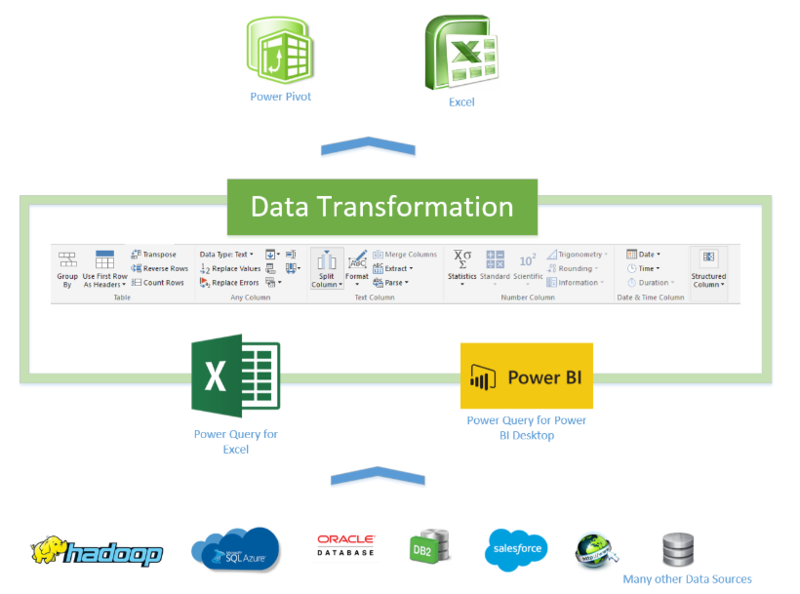 Power Query is a Data Extraction and Transformation Engine. The Engine comes with a Graphical Tool and a Formula Language(M Language). Power Query can connects to set of data sources and read data from them for data preparation. Once connected to any data source, then Queries (one for each table, or entity) are listed and available for selection, viewing, and shaping. The Graphical Tool has list of Transformations that can be applied on a data set or Queries, and it also supports different data sources. Power Query graphical interface is so easy to work with that even business analyst or a power user can work with it, on the other hand Power Query M language is so powerful that can be used for complex real world challenges of data transformations. However the Power Query formula language(M Language) is much more powerful than the GUI. Actually there are some features in Power Query engine that not yet has been implemented through GUI, but they are available through M Language. Power Query can load the result set into Power Pivot for data modeling. M is the formula language behind the scenes of Power Query. Everything you do in the Query Editor will be translated to an M script. M contains full list of functions that you can use. So the powerful side of Power Query is actually M. M is a functional language and it has a simple structure. Every data preparation steps or applied steps on Queries will be recorded and displayed in Query Editor under Applied Steps Section.